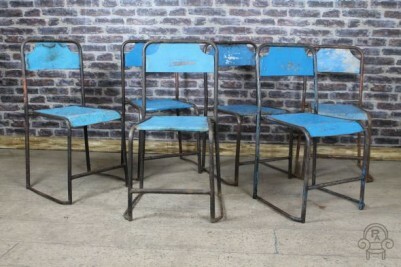 These authentic original stacking chairs are a fantastic addition to our range of industrial vintage furniture. We have a large quantity of these chairs in a variety of colours and styles. 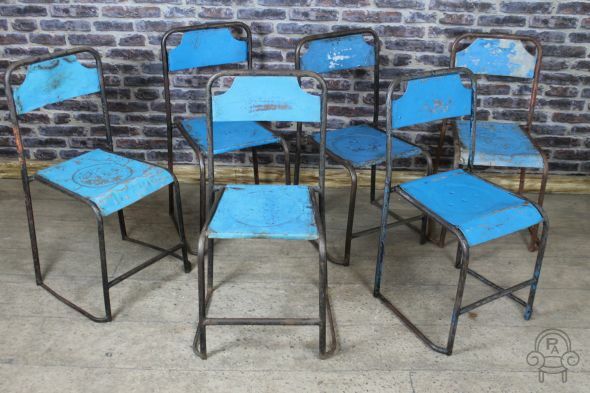 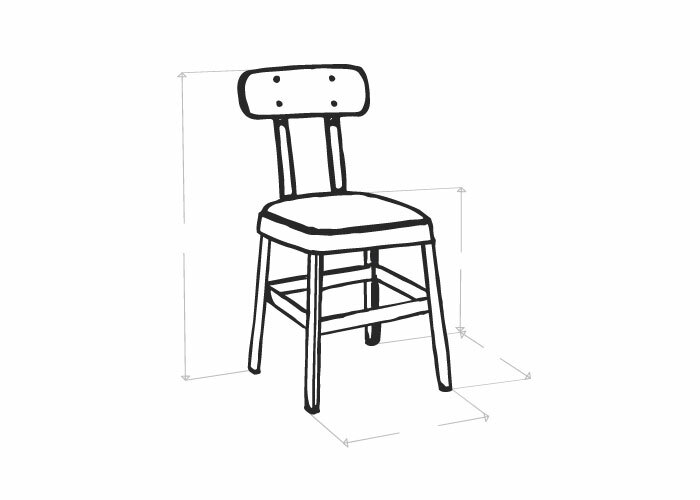 All chairs do demonstrate some signs of wear and tear, including spots of rust and damaged paintwork, which give them a truly unique appearance and style. These chairs are full of charm and character and were acquired from the ex-Soviet Union. 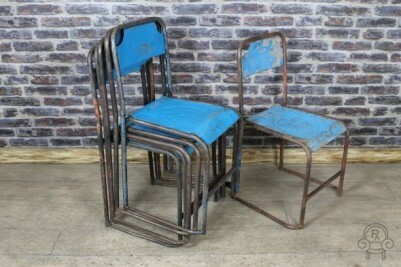 They would be perfect for any restaurant, cafe, bar or private garden. We have approximately eight different models of these chairs including some folding designs.